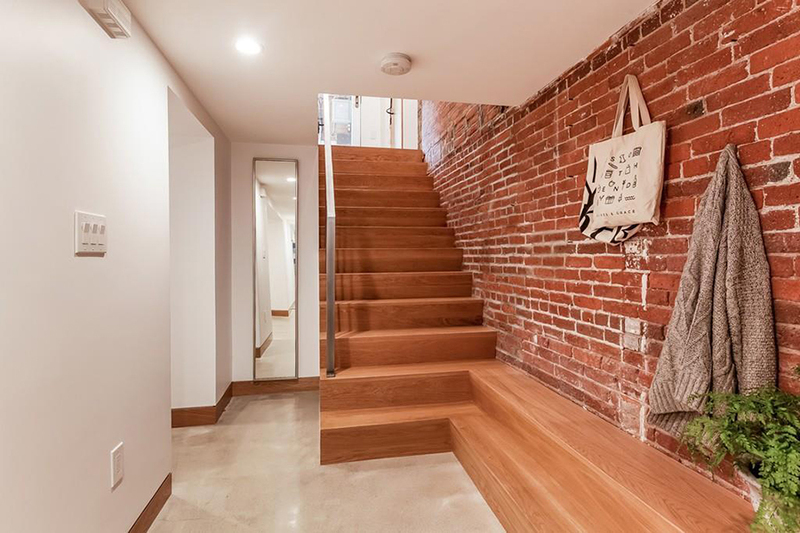 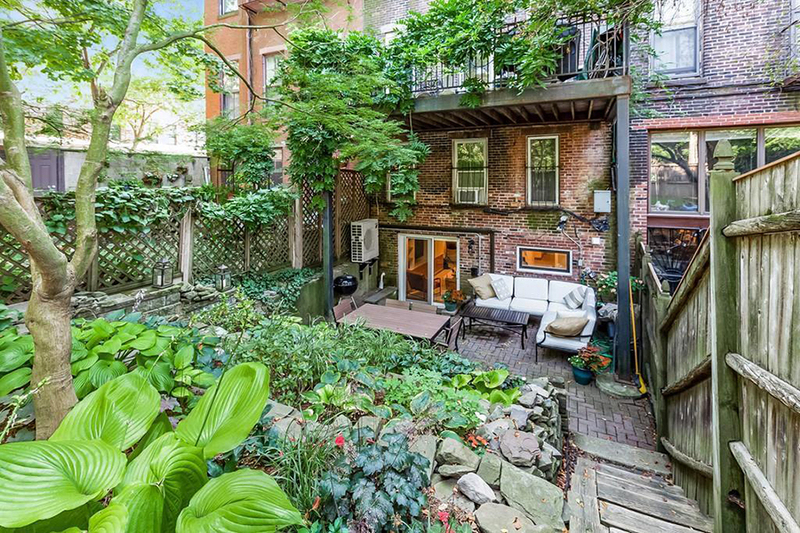 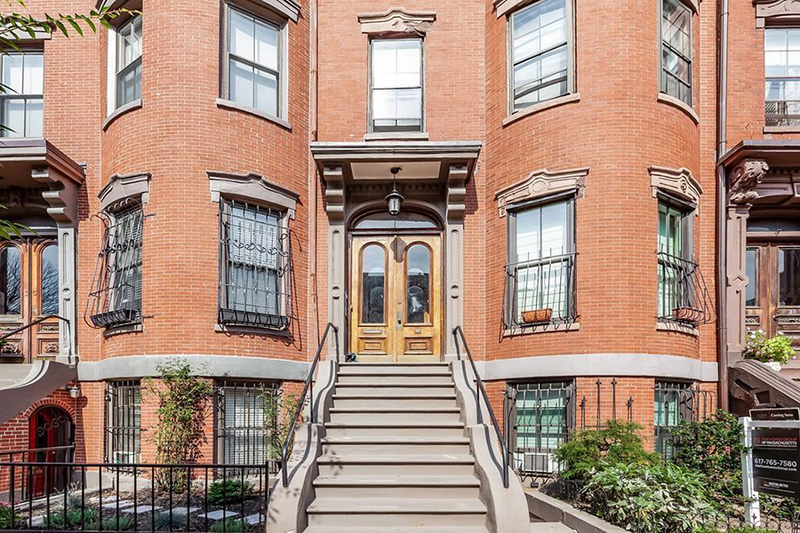 Tucked under a grand staircase in the South End, a small wrought-iron door leads to this ultra-charming condo for sale. 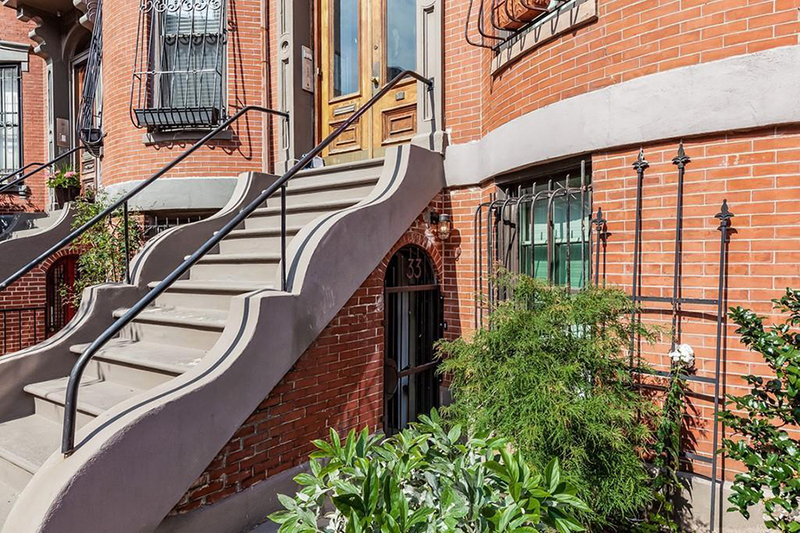 While it’s all bricks and brownstone on the outside, the 1890s building conceals a strikingly modern interior. 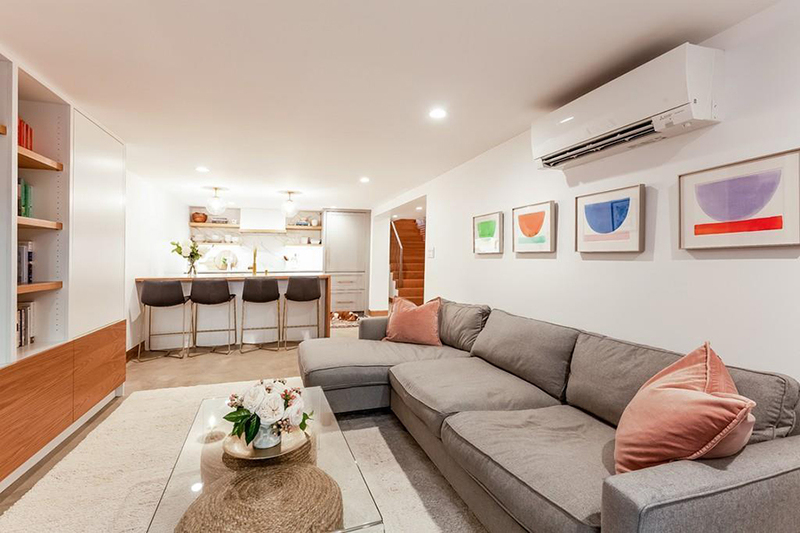 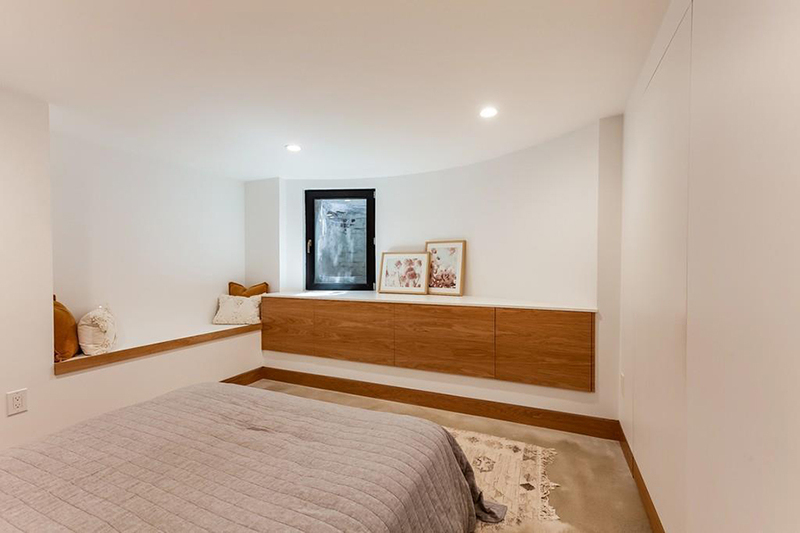 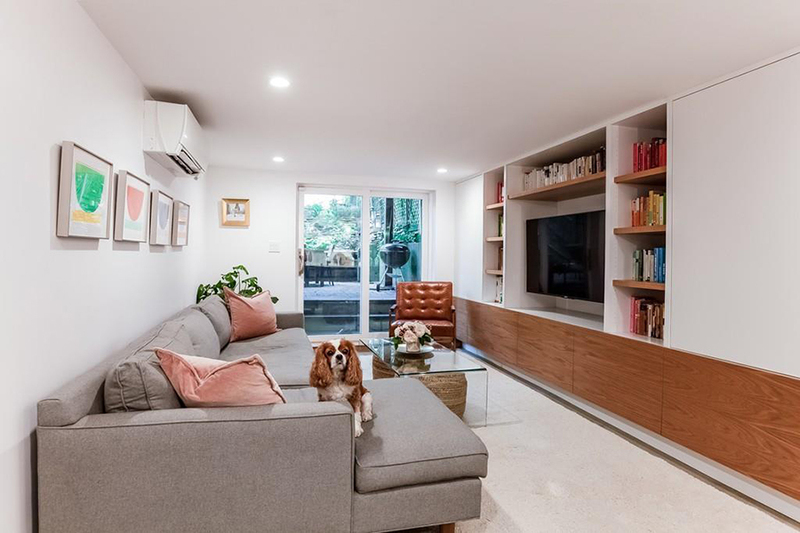 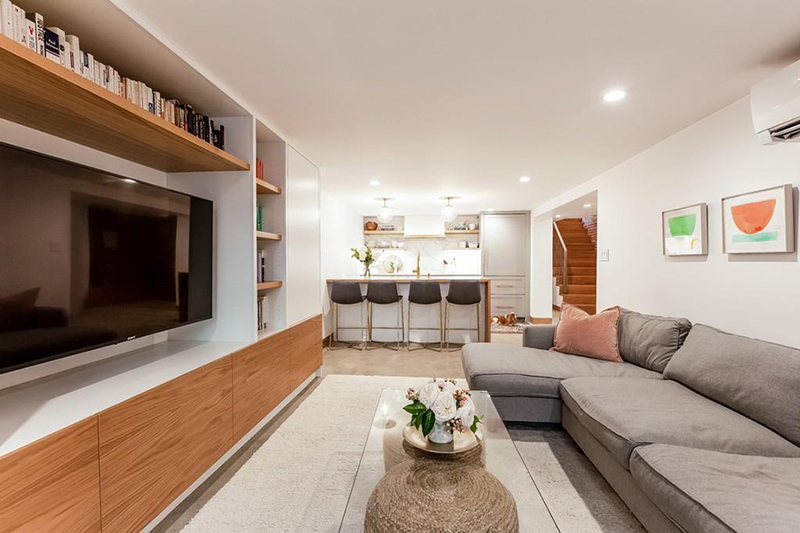 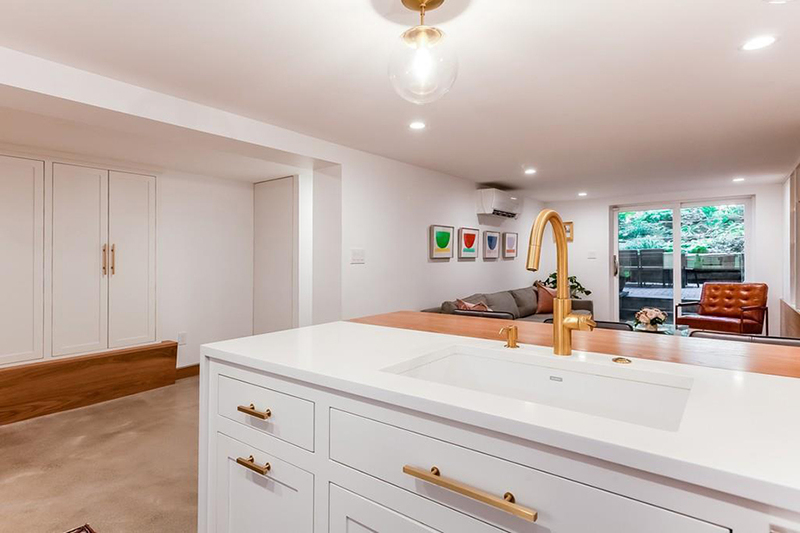 One step into the garden-level abode reveals sleek built-ins and finishes. 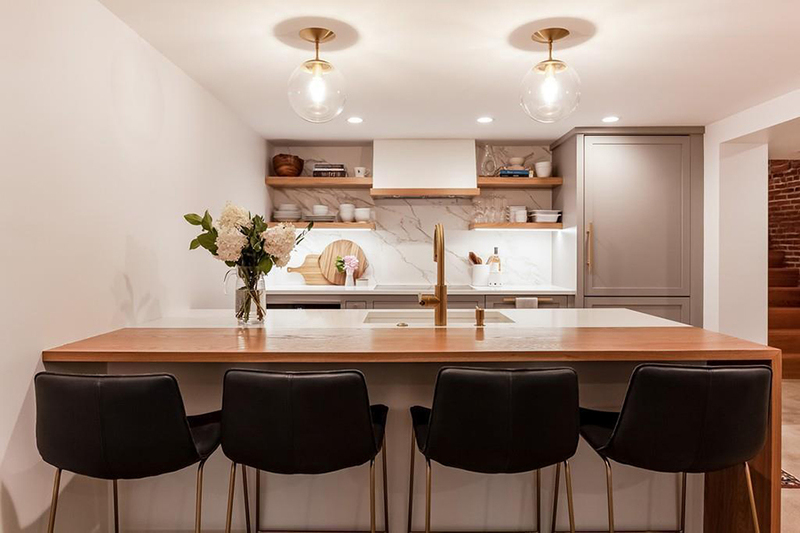 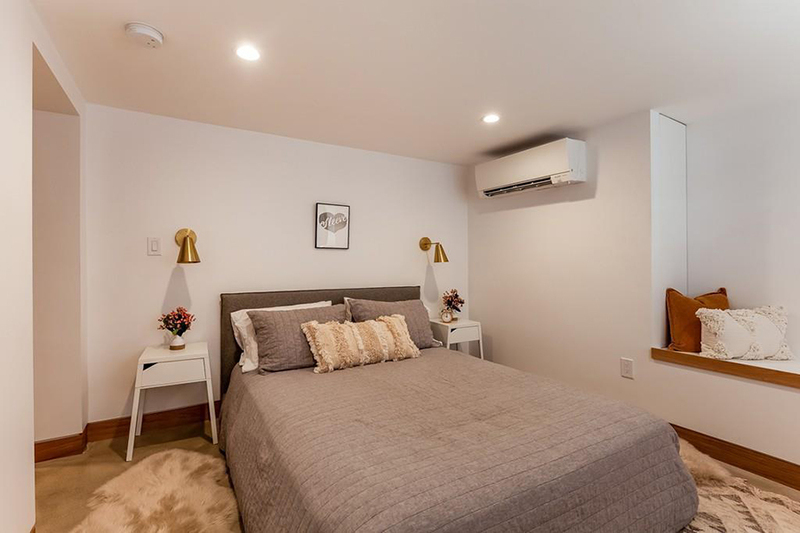 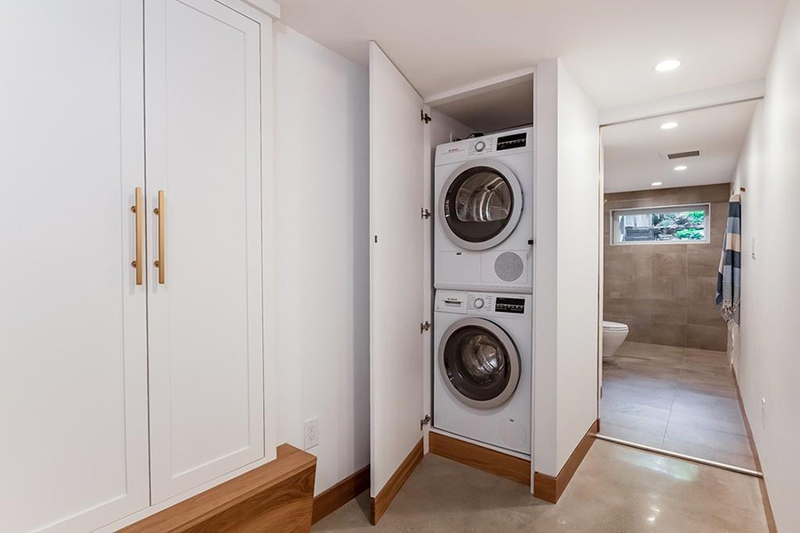 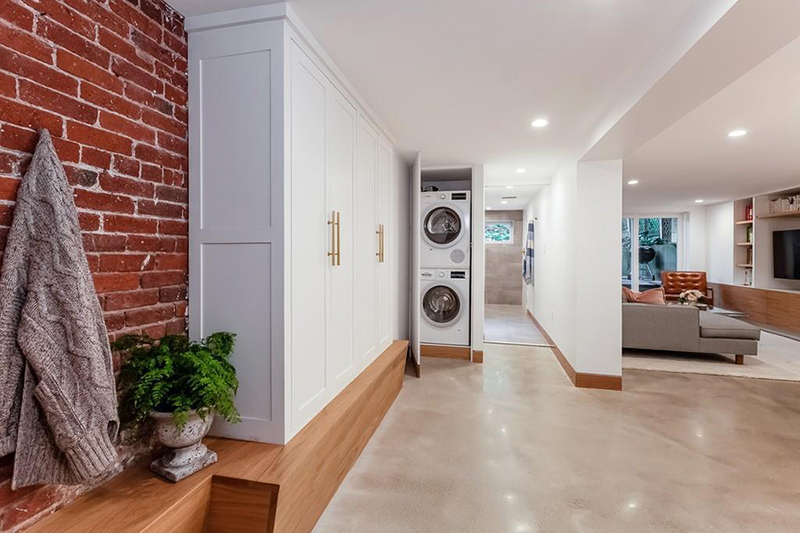 The kitchen is outfitted with top-of-the-line appliances (Wolf, Bosch, Liebherr, and Miele, if we’re naming names) while in the bedroom, there’s a custom dresser and closet. 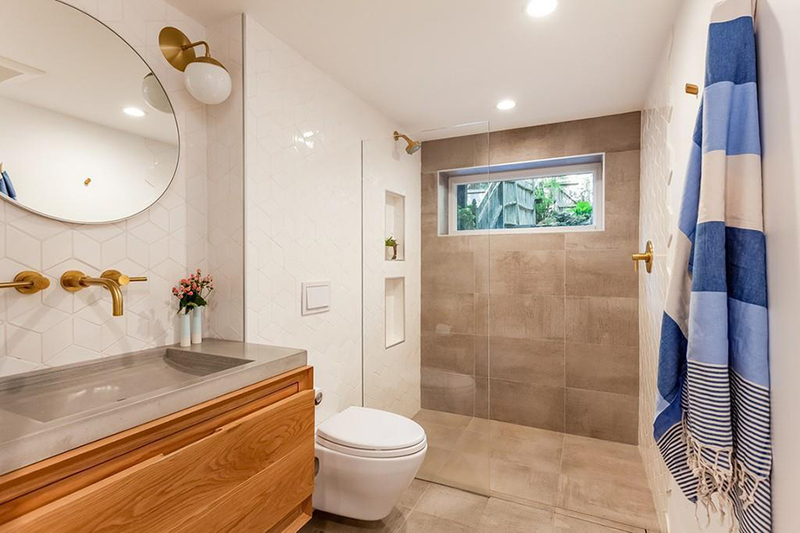 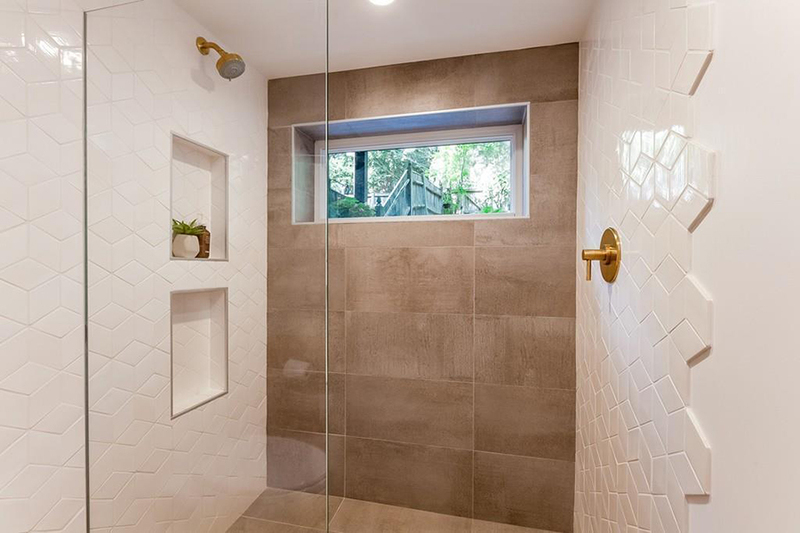 The bathroom, meanwhile, boasts radiant heat floors, and the living room is illuminated by recessed lighting and a sliding glass door. 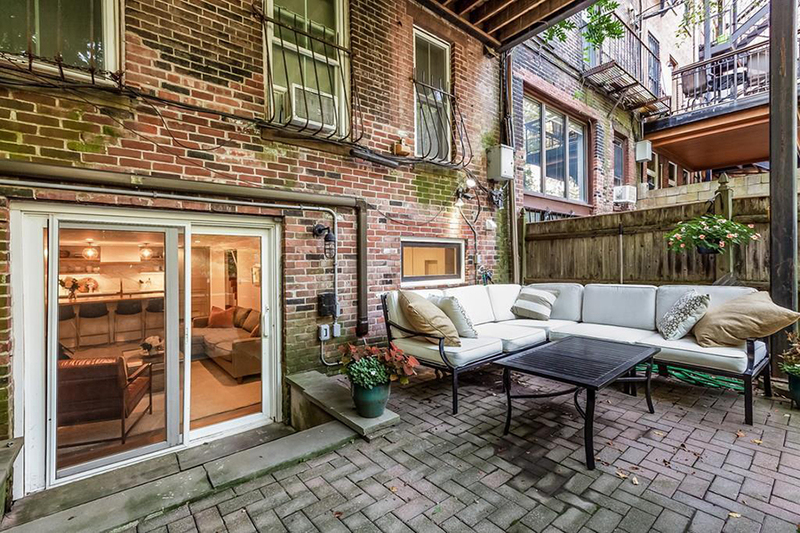 That door opens to a dreamy—and surprisingly spacious—brick patio. 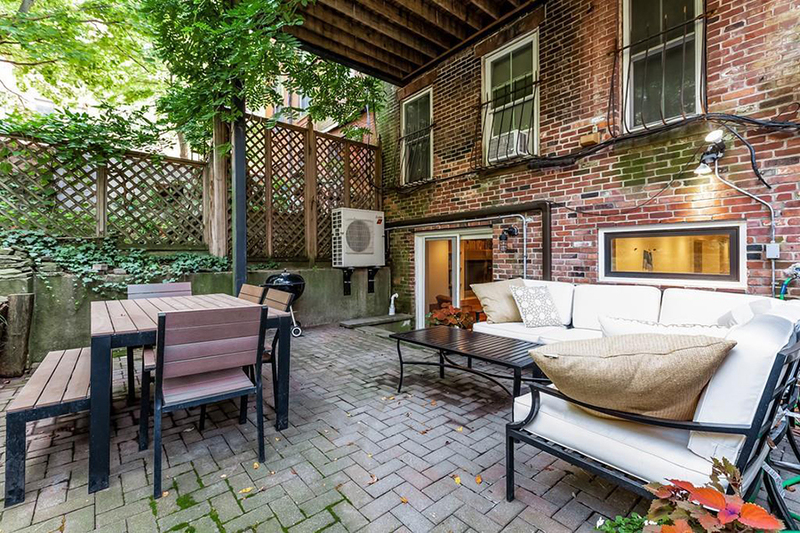 It has enough room for both lounging on a sectional and dining al fresco. 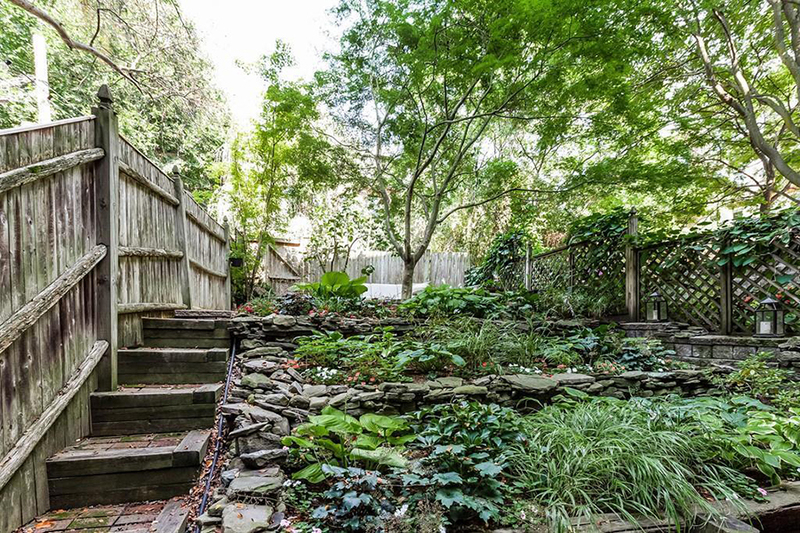 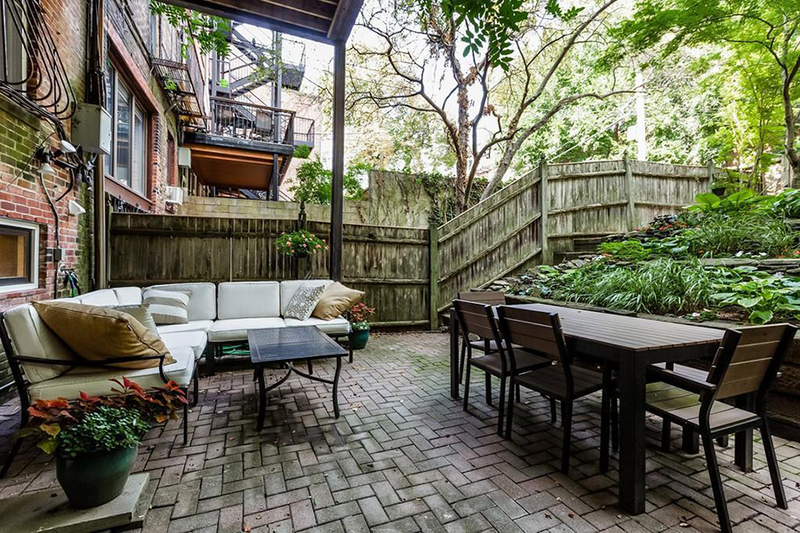 As an added bonus, the patio overlooks a landscaped terrace, where lush, shade-tolerant plants thrive. 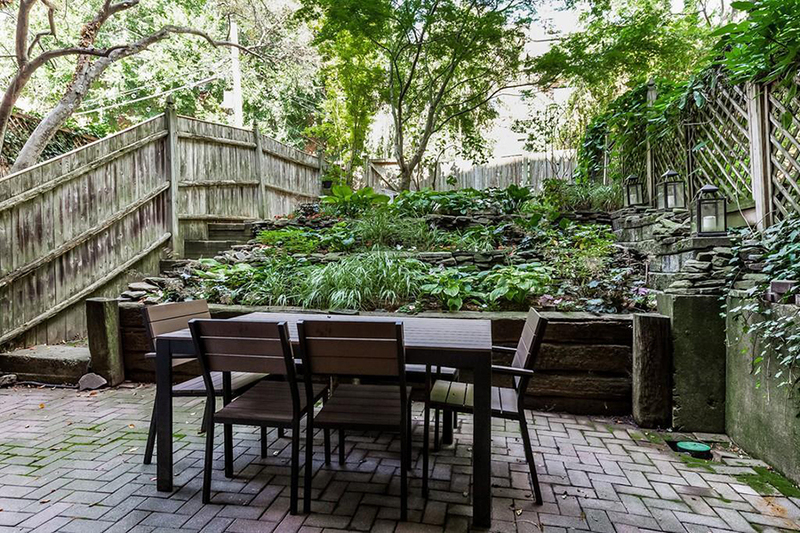 For information, contact Fine Homes Group, Keller Williams Realty, bostonfinehomesgroup.com.